Losing your luggage while travelling can be a real problem and sometimes spoil your vacation or trip away. Stephen Sacks has created a new range of luggage that are virtually indestructible but also more importantly trackable by your computer, tablet or smartphone using a companion application. 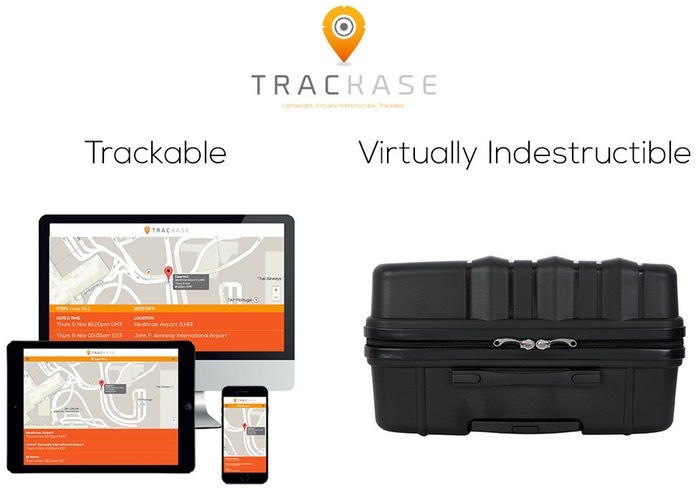 Trackase is a range of lightweight trackable luggage that has been designed to survive practically everything airports can throw at it but is also equipped with tracking technology updating you about its location. The Trackase project is currently over on the Kickstarter crowd funding website looking to raise £30,000 in pledges to make the jump from concept to production. So if you think Trackase is something you could benefit from, visit the Kickstarter website now to make a pledge and help Trackase become a reality via the link below.